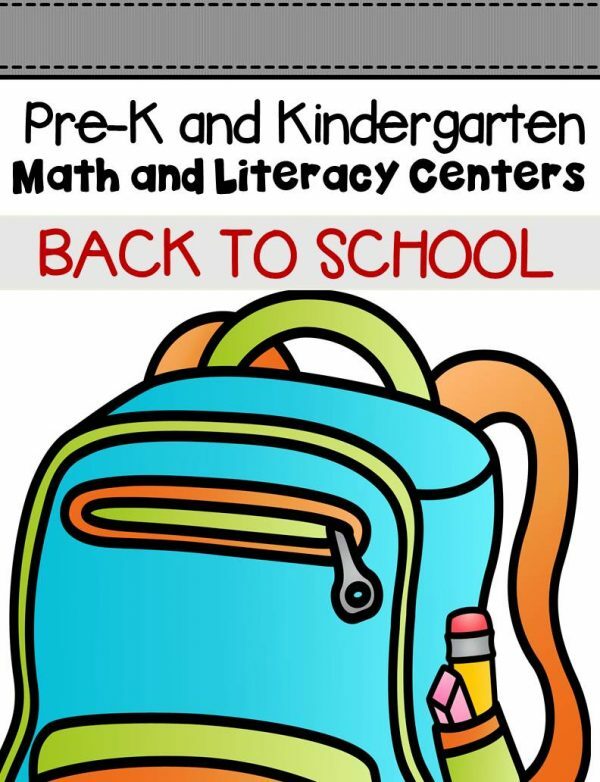 This pack is filled with engaging math and literacy centers for Pre-K and Kindergarten students with a Back to School theme. 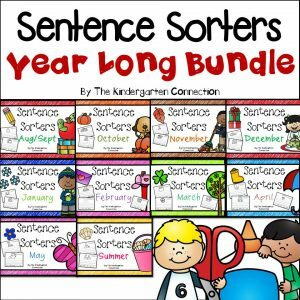 “School” Emergent Reader (2 levels) print a simple label style version, or one with predictable sentence pattern. Copy two-sided and cut in half for two books! My name is…. 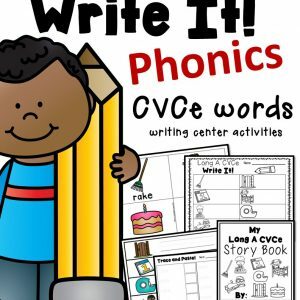 Find and trace the letters in your name (upper and lowercase sets are both included). Build your name – use magnets, tiles or alphabet tools to build your name in the box. Practice writing your name below (both versions with lines and no lines are included). What’s that letter? – Pick a pencil, find and trace its match. Both upper and lowercase versions are included so that you can mix it up how you choose. Color Crayons– pick a crayon and color one on the recording sheet to match, OR pick a crayon and find the color word on the recording sheet, coloring to match. 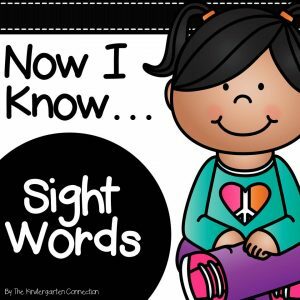 Busing Sight Word Match – Print two copies of the sight word cards (editable file included should you need additional words – you can also play this with names or letters). After matching them up, kids can record some words on the optional recording sheet. Counting clip card match – count the crayons and clip the number that shows the total. 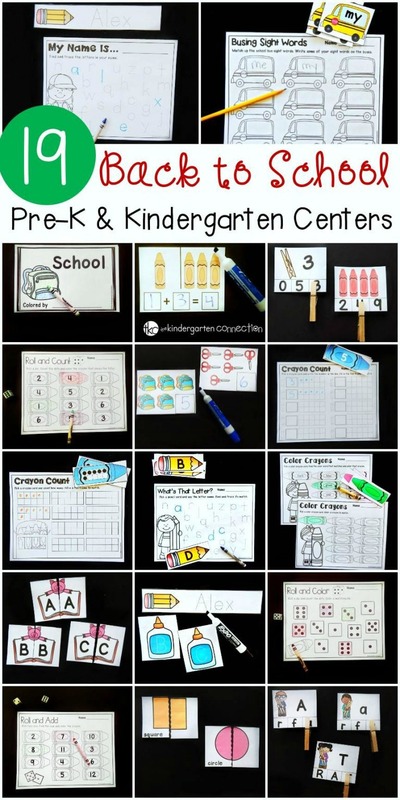 Addition Cards – laminate and use with a dry erase marker. Write the equation and solve to show how many crayons (beginning addition to 5). Shape puzzles – cut in half and match shapes! Crayon Count – Pick a crayon, count the dots and fill in a ten frame to match, OR, pick a crayon, read the number and fill in a ten frame to match. Roll and Color – Roll a die and count the dots. Color a matching die (no numbers, just dots). Roll and Count– Roll a die and count the dots. Color the crayon that shows the total. Roll and Add – Roll two dice and count the dots. Color the crayon that shows the total. (2 versions, one with a number line so that you can choose to play with numbered dice instead of dotted dice as a challenge if you wish).